The GMAT, the necessary evil for so many students’ journey to business school. As if MBA applications weren’t stressful enough, the GMAT test promises to be the cognitive hurdle intent on trying to trip you up at every step. But fret not, the skills and strategies tested on the GMAT can be built up through regular practice. To get your best score, you should aim to study consistently for about three months. 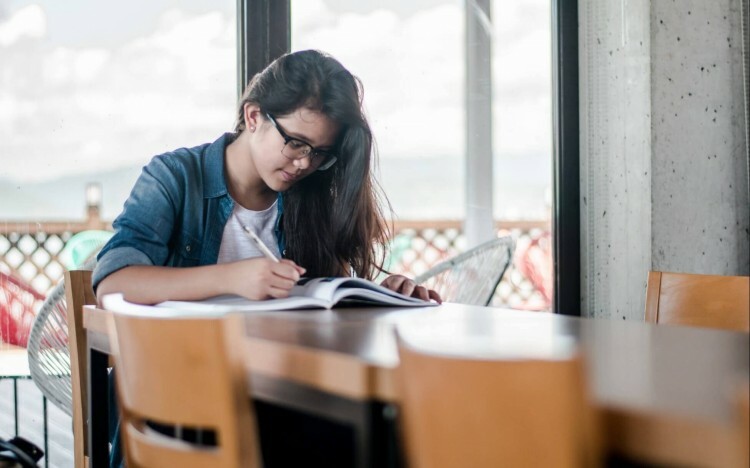 Whatever your timeline, however, when you craft your GMAT study plan you should think about your study timeline as having three distinct phases. In the first phase you want to give yourself time with each question, so you get to really understand the concepts. You also want to make sure you have a foundation in the basic math and grammar knowledge you will need for the GMAT test. In this stage you can learn concepts and strategies from GMAT prep resources or courses. Make sure, however, that you are practicing with questions from the official guide. There really is no substitute if you want to get used to the subtlety of real GMAT questions. In this phase of your GMAT study plan, you should practice questions and spend some time checking your answers and your understanding. If you get a question wrong, look at the answer key and then try to work out how the correct answer solves the question. You can then check answer explanations at the back of the official guide and/or Google the question to find different approaches. If you do get a question wrong, make sure you spend some time diagnosing your mistakes; What went wrong? Was it poor knowledge? A silly mistake? Did you misunderstand the question? Now that you know the correct answer, can you outline a good and efficient method? Can you identify the most common wrong answer? Would you get the question right if you came back to it in a few weeks? In the second stage of your GMAT study plan you’ll want to introduce timing pressure into your practice sessions. You can start to practice a few questions in a row before looking at the answers. Each question is different, so it’s useful to focus on the average time it takes you to do a few questions. There is always tension between speed and accuracy, but not being able to complete questions in time could be a symptom of using the wrong method. As a rule of thumb, you should not spend more than three minutes on a question. If you are spending more time than that, particularly for the quantitative section, you’ve probably missed the short cut, or are using an incorrect method. For the verbal section, using your finger as a pointer when you read can help you to speed up. Writing A to E down on paper and methodically crossing out or ticking answers can stop you from re-reading answer choices aimlessly. All correct questions in the verbal section can be found through a process of elimination, so be methodical. In the third stage, you can complete regular full timed tests to build stamina. The best measure of your performance can be by taking the practice tests at mba.com. There are also other free, full-length tests online from test prep companies that are useful for purely building stamina. You can take your scores from these tests with a pinch of salt. 1.You get an accurate idea of your performance. The algorithm used to calculate your score in the GMAT takes into account both the number of questions you get right and their difficulty level. It’s therefore very hard to get a sense of where you are by taking paper tests. 2. You can build stamina for test day. You can also find ways of improving by noticing the kinds of mistakes you make under pressure and seeing if there are checks you can put in place for certain kinds of questions. 3. You can practice your timing strategy. You don’t want to be trying this out for the first time on test day. 4. Taking full-timed tests will help you to evaluate your progress and address weaknesses. In this phase you’ll have a good idea of where your weaknesses lie and what to focus on to boost your score. Home in on any areas that you need to improve. Try to engage with GMAT material daily, rather than devoting big chunks of time every now and again. Learning from each question is more important than getting every question right. The learning process is not linear, and it can be discouraging at times. It’s useful to focus on the process and not only on getting questions right. Spend time with each question. The quality of your engagement with each question is more important than the quantity of questions practiced. And most of all, good luck!